Rapper Mike-Dash-E released the music video for his song “Super Star” off his “I am Hustle” mixtape. Shot in the Fisherman’s Wharf area of San Francisco, he raps about his goal to be a super star in the music industry. He’ll do what ever it takes to hustle and make it. Are you ready to be a super star? You can download the single FREE here. Listen to more Mike-Dash-E : Pimpin’, Why they never say my name, Stay Wit Me, #IAMHUSTLE mixtape, Raging, Get Up On It, Enough, Yea Right, I Believe, Thrill, Get Off Me, Ripped, and Shawty Like Ohh. This entry was posted in music on August 31, 2012 by Kevin Hsieh - channel APA. 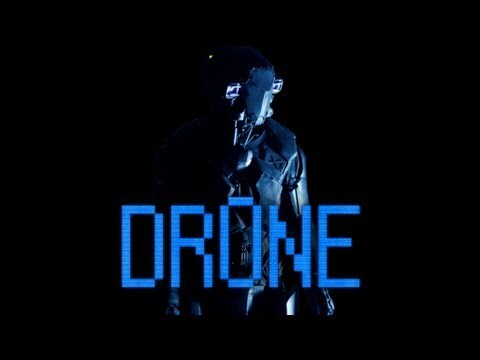 The first episode of YOMYOMF’s webseries Drone is out. By the early 21st century, the nature of warfare had changed. Unmanned drones patrolled the skies above the battleground. In the year 2023, humanoid drones were deployed to the front lines – a new breed of soldier; stronger and faster than their human counterparts. Autonomous by design, they operate by a code – a code of war. If you like first person shooters like Black Ops, you’ll love this series. It will feature Kenneth Choi as Jay and Lance Reddick as Nissen. This entry was posted in shorts, technology on August 31, 2012 by Kevin Hsieh - channel APA. 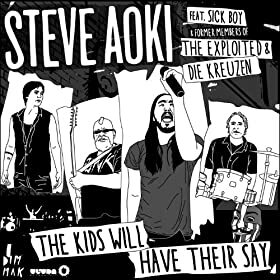 DJ Steve Aoki dropped the bass-kicking music video for “The Kids Will Have Their Say” off his Wonderland album with the help of Sickboy. He takes you back to his roots for the punk record of the album by helping the youth raise their voice, empowering themselves and finding their place. Set against the backdrop of the Occupy LA protests, the official music video for “The Kids Will Have Their Say” directed by Dori Oskowitz features a rare live performance by Steve as well as his collaborators on the track including Sickboy, Erik Tunison of Die Kreuzen and Big John Duncan of The Exploited. Legends at work here. The movement can’t be stopped. Are you ready to riot? It’s Aoki’s craziest video yet. You can get the single on or amazon. Listen to more Steve Aoki: Beat Down, Cudi the Kid , Heartbreaker, Ladi Dadi, Ladi Dadi Part II, Earthquakey People, Earthquakey People (The Sequel), Tornado, I’m in the House and No Beef. A young woman finds herself falling for a genuinely good guy. This couple in a long-distance romance for over a year finds themselves in a fork in the road. Are both lovers ready for something more permanent? These two discover the hidden truth of their relationship. The short stars Tiffany Yen and Christopher Dinh. Look for it at a film festival near you. This entry was posted in shorts on August 31, 2012 by Kevin Hsieh - channel APA. I had the exciting chance to be mentored by Grammy winning MC Nelly as one of four finalists representing New York for a show on the CW Network called “The Next”! Nelly and I had 72 hours to get me prepped for the biggest performance I’ve ever had thus far in my career at the Paramount Theater, where I go head to head with the three other contestants. I’m super nervous yet super excited to see if I go through to represent New York in the next round, and I hope you guys will tune in to cheer me on! For those of you who have known me for a while, you totally understand how hard I’ve been working on putting my music out here, and how much this whole thing means to me, and has meant to me for a really long while. I feel really blessed that I’m able to share this experience and this night with you, and hope that you’re able to join in on this Thursday night at 9/8c to catch the episode. Listen to more Baiyu on these tracks: Make Believe, Invisible, I Miss You For Now , Together, Sweet Misery, Take a Number, and When We Dance. This entry was posted in music, tv on August 30, 2012 by Kevin Hsieh - channel APA.